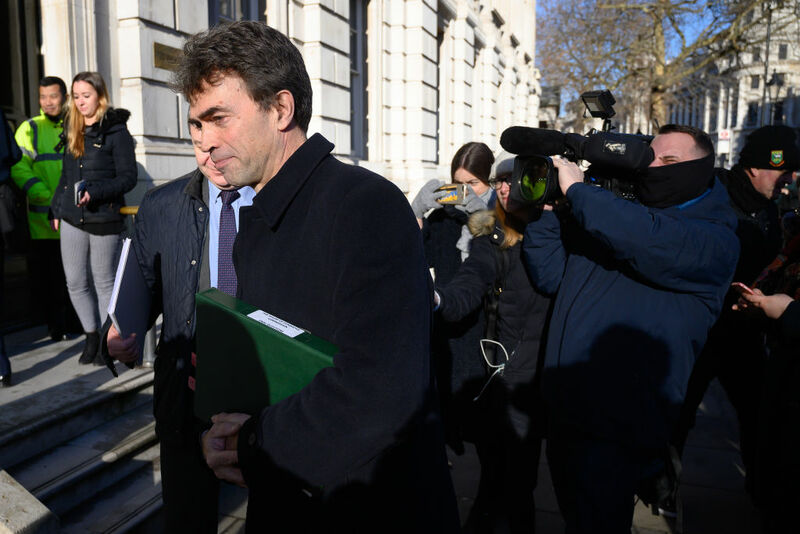 Remain must be an option on the ballot paper if there were to be a second referendum, Liberal Democrat MP Tom Brake has said. The MP for Carshalton tagged an amendment onto Labour’s amendment, which calls for parties to have an opportunity to vote on whether to hold another referendum. Lib Dem deputy leader Jo Swinson has accused Labour of not doing enough, and Mr Brake’s addition asks for remaining in the EU to be of the choices on any second ballot. “What our amendment is seeking to do is help to secure a people’s vote,” he told Julia Hartley-Brewer. “The purpose is to ensure that parliament rather than the government has control of the Brexit agenda - the government have clearly failed to take control of that because its deal was defeated by 230 votes. Hartley-Brewer argued that when MPs voted to trigger Article 50 two years ago, they committed to leaving the EU with or without a deal. “A lot of people will be unhappy about a parliament that we know doesn’t represent the people on this issue, is trying to seize control from a legislative power. Do you not worry that our constitution is being ripped up and we may live to regret this?” she asked. “It’s true we’re in a very fraught period where there is this clash between the executive [government] and the parliament, and I would hope that people see that if a majority of MPs want a particular route to follow, that is what the government should concede,” said Mr Brake. “Even if there was another referendum - and you’ve got to expect there is a reasonable possibility that Leave would win again - there’s no reason the EU would budge then [on the terms of the deal],” said Hartley-Brewer. “The difference is that in a people’s vote, the offer on the table would be the government’s deal, and if people voted for that, that’s exactly what we’d do. The choices would be the government’s deal or Remain,” said Mr Brake. “Why wouldn’t no deal be an option?” the presenter asked. Mr Brake responded that it would be “highly irresponsible and highly damaging for the UK economy”. “It might be that no deal ends up being one of the options, but definitely the other option on the ballot paper must be Remain,” he added.